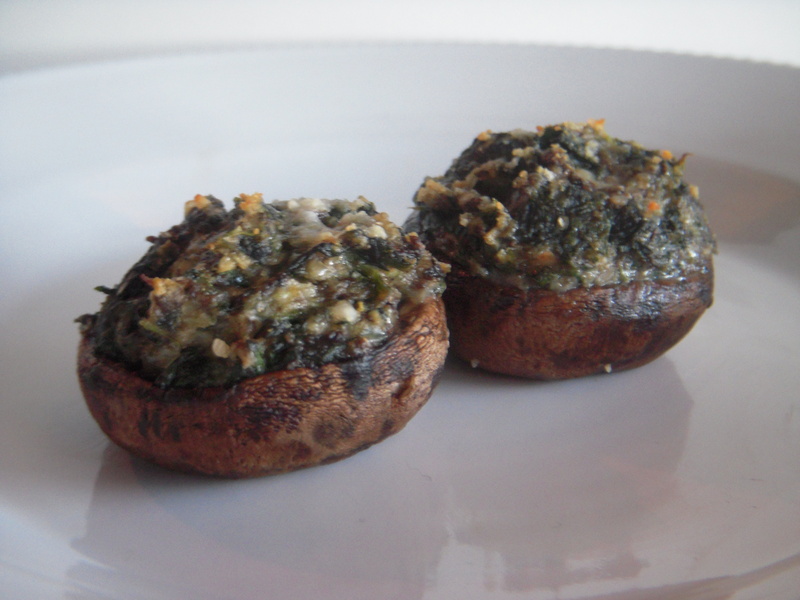 Spinach Stuffed Mushrooms are the perfect appetizer for almost any crowd. They can be prepared and then heated when ready to serve. They can also be frozen then thawed and reheated. This recipe is very light. You can also make this recipe omitting the breadcrumbs, if desired by those carb-friendly dieters! I used a small food processor to chop the mushroom stems. However a large food processor could be used to mix all of the ingredients in one step! It’s super easy and delicious! Remove stems from mushroom caps. Place caps on lightly greased baking sheet. Chop stems. Combine chopped stems, spinach, breadcrumbs, Romano cheese, chopped onion and parsley. Stir in egg. Season with salt and pepper. 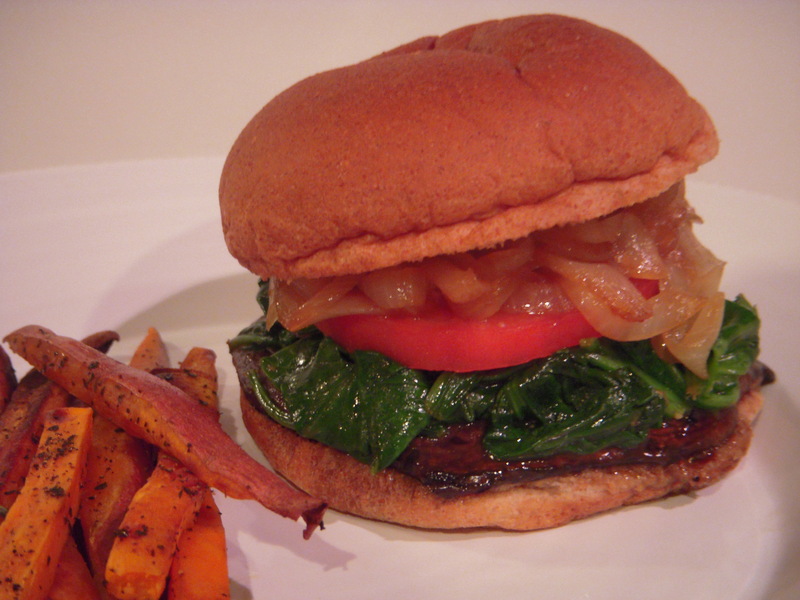 Fill each mushroom cap with about 1 heaping tablespoon of spinach mixture. Sprinkle each filled mushroom evenly with the remaining 2 T. Romano or parmesan cheese. Preheat oven to 350 and bake 15-20 minutes.